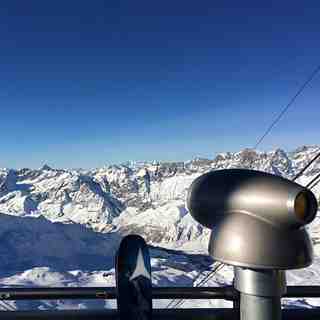 Is it snowing in Breuil-Cervinia Valtournenche ?ありがとうございました! In the shadow of the Matterhorn, Breuil-Cervinia Valtournenche is one half of the ski area linked with Zermatt, just over the boarder into Switzerland. 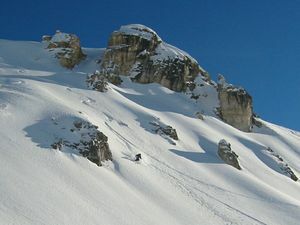 Breuil-Cervinia Valtournenche is an intermediate skiers paradise with kilometre after kilometre of wide open piste with an incredible vertical drop of 1,956 m (Plateau Rosà 3,480m to Valtournenche 1,524 m). 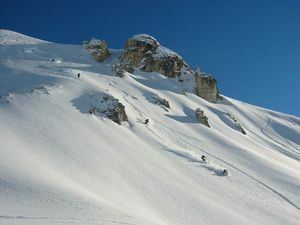 Beginners will be equally pleased with a host of gentle pistes. 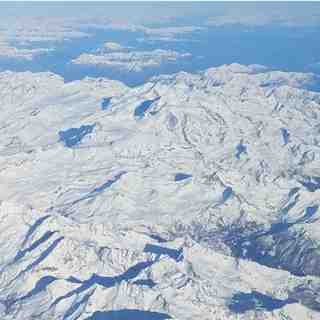 Experts, however, may become slightly bored and forget that they are below one of Europe's major north faces. Experts may feel more at home just over the border in Zermatt. 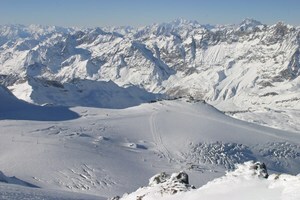 There are two snow parks at Breuil-Cervinia Valtournenche: the Plan Maison area off the Fornet chairlift and at Zermatt, off the Furggsattel chairlift. 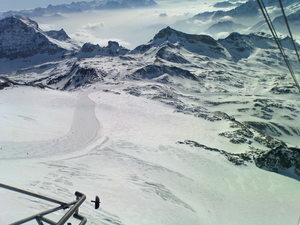 Extensive snow making covers 53km of pistes (35%). The nearest airport is Turin Caselle (118km) but both of Milan's airports are also close enough to be good alternatives (Milan Malpensa 160km, Milan Linate 180km). Went there in mid March 2019. Snow was great, nothing to complain about there. Weather conditions and visibility seriously unpredictable though. Was there for 6 days, and the link to Zermatt was only open for 1 day in that time, although the altitude is a contributing factor to that. As someone else has mentioned, lifts are slow to open, which can lead to queues in the morning time, with everyone queuing for the same couple of lower lifts. Lift pass was 300 Euro or so for 6 days including the link to Zermatt, which is pricey considering the chance you have of getting over there. Pretty much all the runs can be downgraded a colour from everything I have experienced in France & Austria (blue run = green, red run = blue, etc). Everything is pretty cruisey, which may be to some people's taste, but there is not much to challenge people here. As a snowboarder, you constantly need to bomb it to make it across the flat sections (and there are a lot of them) which is fine in good visibility, harder if not. Village is nice with some good eating out, not a massive party town. All in all, if you want a not too challenging resort and don't mind the expensive lift passes, sure for relaxed skiing, this is fine. 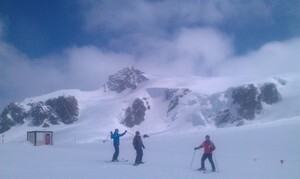 I think i'll be heading back to Austria next year though.